Last night I had a dream that I found a stream full of lost and discarded items. I pulled out a beautiful axe that seemed to be made fully of steel or silver, no wooden handle. It was lovely. 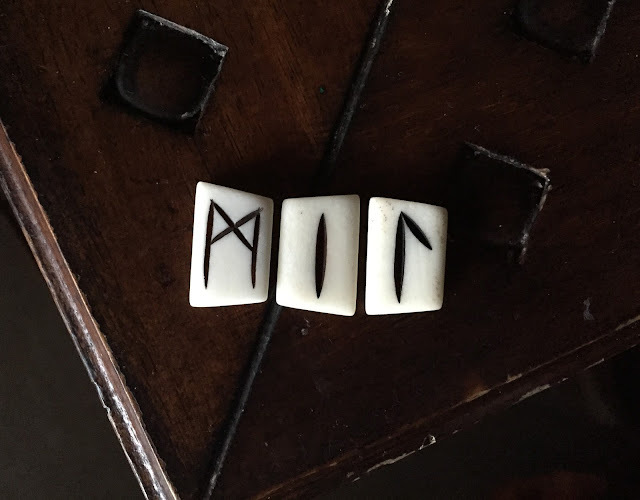 After a while I realized that it had runes etched along the length of the handle, that read: Freyr and Freyja. When I woke up I realized that it was Friday (so titled for Freyja and Frigg). While the coffee was brewing I lit candles on my altar space for Freyr, Freyja, and Frigg. I felt some overwhelmingly loving Freyja vibes, which was warming. A little while later, before work, my husband and I took a short stroll, and as we passed a tree a grey cat slowly ambled out and crossed the sidewalk in front of us, turning back to gaze with deep, yellow eyes. It looked very similar to the cat statue that I have for Freyja, in fact! 🐈 An interesting string of happenings.